Upcoming Workshop, "Overcoming Public Speaking Anxiety"
Don't miss my next seminar, September 5th | 12-1pm at Office Evolution in Westlake Village. 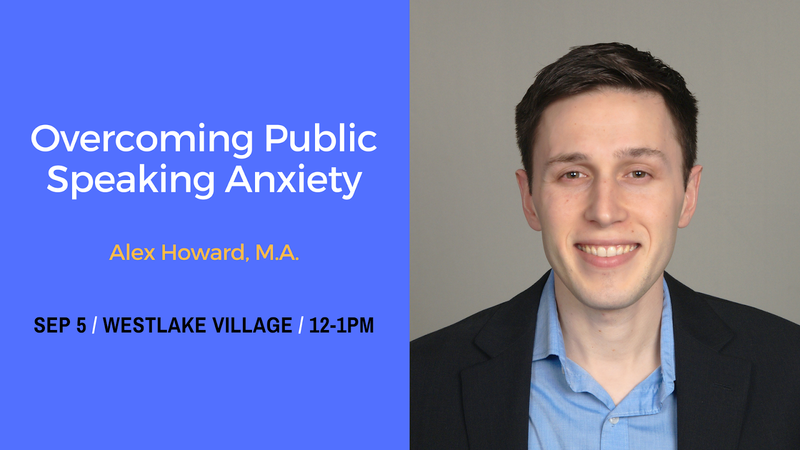 Learn strategies to manage public speaking anxiety! We'll discuss what causes public speaking anxiety and how we can learn to speak with more confidence.